SFWMD Everglades Policy and Coordination Division Director Eva Velez gave an update on the District's operations through the agency's weekly video series, which is dedicated to informing the public on current water conditions and the agency's actions amid the high water emergency. The video update can be seen by clicking HERE or visiting the District's website dedicated to the emergency situation at www.sfwmd.gov/managinghighwater. In the video, Velez details three of the major Everglades restoration projects currently under design or construction to store and treat water flowing south and to the coastal estuaries in order to restore water quality and manage freshwater flows. The three projects Velez discussed are the Caloosahatchee (C-43) West Basin Reservoir, the C-44 Reservoir and Stormwater Treatment Area (STA) and the Everglades Agricultural Area (EAA) Storage Reservoir. The C-43 Reservoir, which is currently under construction in Hendry County and is scheduled to be completed in 2022, will store 170,000 acre-feet of water. This reservoir will help reduce releases to the Caloosahatchee Estuary during wet periods and provide much-needed freshwater to help balance salinity levels in the estuary during drier periods. 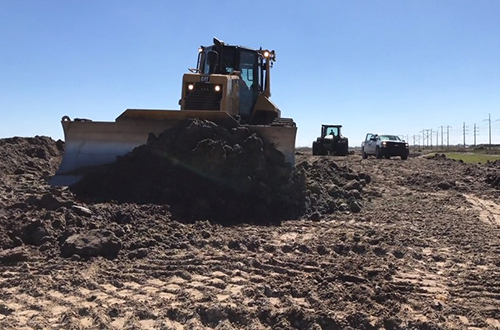 The C-44 Reservoir and STA, currently under construction in Martin County, will store 50,000 acre-feet of local runoff from the C-44 Basin in western Martin County and treat it in 6,300 acres of STAs. The STA and pump station for the project are being built by SFWMD and are scheduled to be completed by next year. The reservoir is being built by the U.S. Army Corps of Engineers and is expected to be completed by 2020. The EAA Storage Reservoir, which is currently in planning, will store 240,000 acre-feet of water on SFWMD-owned land south of Lake Okeechobee and treat it to meet water quality standards before it flows south to the Everglades. The EAA Storage Reservoir is currently awaiting authorization from Congress as part of the Water Resources Development Act of 2018. These proposed projects, when used with other planned restoration projects currently underway such as the Central Everglades Planning Project (CEPP), would reduce the number of damaging discharges to the coastal estuaries by 63 percent and provide a long-term strategy for addressing high water emergencies like the current situation. Eva Velez, SFWMD Everglades Policy Director, gives an update on current operations and long-term restoration projects to move water in South Florida.